Variations of this dish have been one of my favourite things to make for dinner lately. 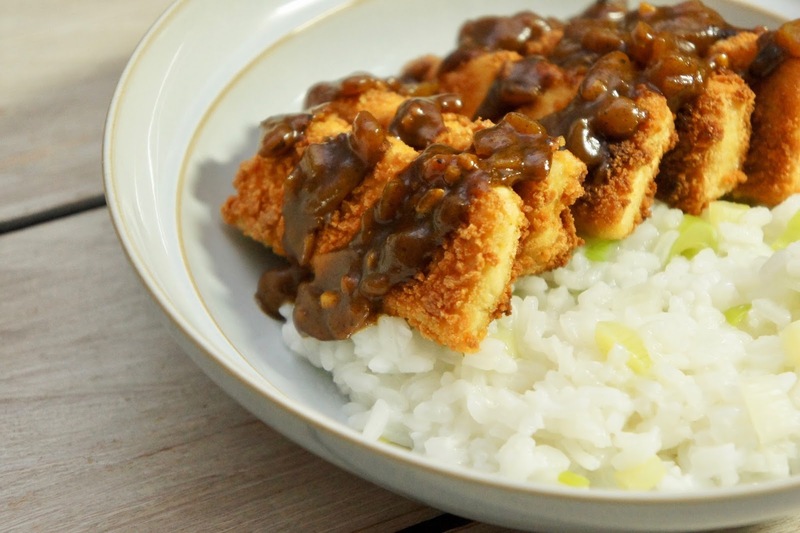 I've been using soy milk, gluten free flour and breadcrumbs to coat the tofu and serving alongside sticky rice with either a homemade or readymade katsu sauce. As you can probably tell from the photo, which shows my first attempt, I haven't quite managed to perfect my homemade katsu sauce yet but I'm working on it! Another tofu dish I've been enjoying lately is tofu scramble, an alternative to scrambled eggs - a food I've never particularly liked! So far I've been sticking to a very simple version, seasoning with just turmeric, nutritional yeast flakes and cracked black pepper so it's quick and easy to make, plus it's a great addition to beans on toast. Despite the cold weather, one of my favourite things to make for lunch this year has been pasta salads. This particular version combines brown rice pasta, sweetcorn, grated carrot and courgette with a drizzle of Follow Your Heart's Vegan Caesar dressing. Although I've made lasagne roll ups with veggies and lentils before I thought the basil flavour of this Taifun tofu would be a great addition to the recipe. To create this dish I pre-cooked the lasagne sheets, then spread on layer of garlic and herb soft dairy-free cheese and topped with spinach and slice of tofu. 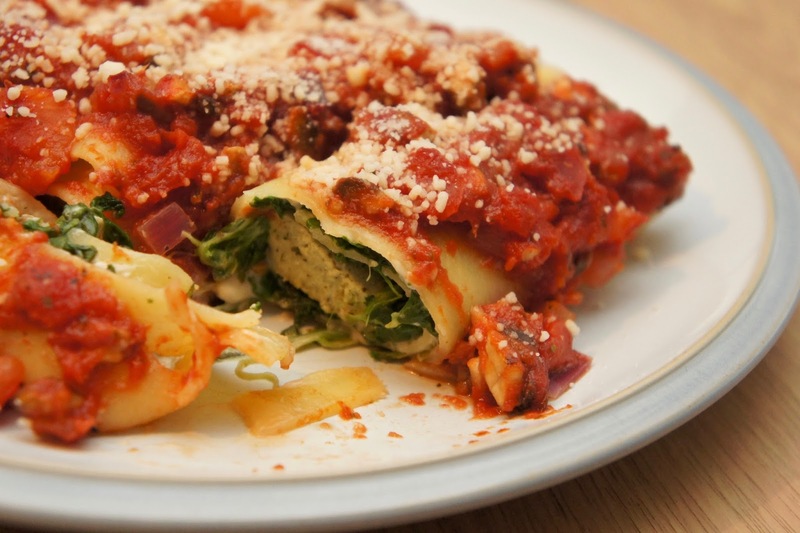 The sheets are then rolled up securing everything inside and placed in a dish with a tomato based sauce poured over the top and baked in the oven until warmed through. I also added some of my favourite dairy-free parmesan alternative to serve! I never really ate them before, but when I picked up the new vegan slices from Quorn I couldn't resist making a veganzied version of a classic cheese and ham toastie. Simply layering them alongside Violife's non-dairy cheese slices was a quick and easy way to achieve the same sort of effect. Sure, the slices were all a bit too big for my gluten free bread and the result was a little greasy leaving me feeling like I'd overindulged on the junk food but I have to say it was pretty good!